Staff Training, Patient Onboarding, Software Integration, Device Distribution and Care Coordination. RPM in a Box uses an easy to read, intuitive platform designed for people of all ages and abilities. 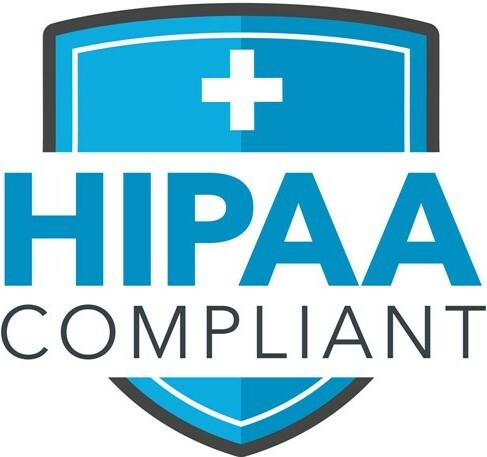 New CPT Codes released by CMS in 2019 provide an incentive for physicians to offer better management of chronic conditions through the use of Remote Patient Monitoring and the new rules make it easier for physicians and healthcare organizations to partner with health-tech companies to provide the services, software and monitoring devices needed to successfully launch an RPM program. For some practices, the technology, care coordination and start-up costs discourage them from offering these services. That’s why RPM in a Box partnered with HealthKOS to offer turn-key solutions that allow physicians to choose the program that’s right for them. Together, we are helping physician practices reduce costs, improve outcomes and capture increased revenue generated by the advanced level of services they are providing. How Does RPM in a Box Work? RPM in a Box uses automated algorithms, real-time data, and quality metrics to involve patients in their own care, as well as keeping healthcare providers and family constantly informed. The platform utilizes smart devices to monitor specific health metrics and transfer them to the patient’s smart phone or tablet. The information is then shared with the patient’s provider where care coordinators and physicians can collaborate to make decisions that are better informed and more timely, preventing disease progression and the need for hospitalizations, urgent care or emergency care. Click here to download and shareable whitepaper. Are You Ready to Bill for Remote Patient Monitoring Under New 2019 CPT Codes? CPT 99453: This code reimburses up to $21 for costs associated with initial device set-up and patient education on the use of devices such as blood pressure cuffs, pulse oximeters and even scales. CPT 99457: This code covers remote physiologic monitoring treatment management services. CMS requires 20 minutes or more of professional time from clinical staff, physicians or other qualified healthcare professionals, along with interactive communication with the patient or caregiver, each calendar month. The reimbursement for this service is approximately $59 per patient, per month. CPT 99454: Allows for the reimbursement of remote monitoring of physiologic parameter(s). For example, weight, blood pressure, pulse oximetry and respiratory flow rate. CMS will reimburse approximately $69 per patient, per month. 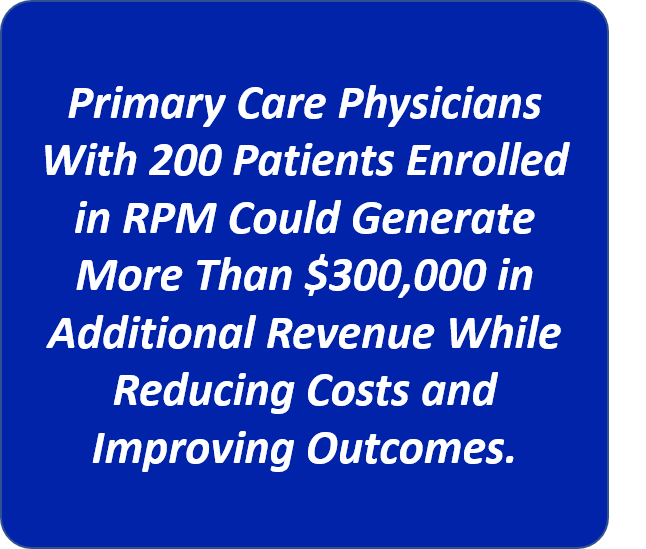 RPM in a Box was designed by physicians who wanted an efficient and practical way to reduce costs, improve outcomes and reduce unnecessary utilization. 2-Way Communication including monitoring, medication and appointment reminders. RPM in a Box also provides patients with click-to-call convenience and video-chat options. 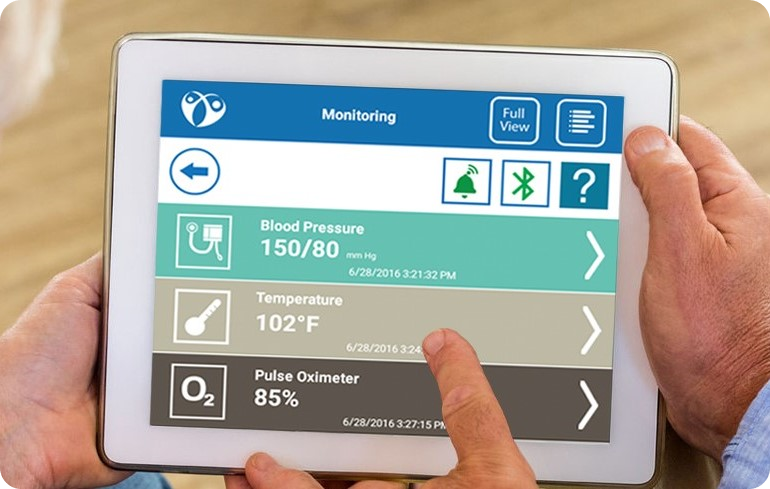 The RPM in a Box team provides onboarding and education to help new providers establish seamless workflows and help patients utilize their devices and the patient monitoring app. Contact our Customer Service team anytime for help with our platform or devices. Click here to request more information or an on-site, in-person demo of the RPM in a Box platform by the experts who developed it. RPM in a Box is a Remote Patient Monitoring solution powered by HealthKOS: an end-to-end solution developed by doctors to improve patient engagement, compliance and outcomes by utilizing automated algorithms, real-time data, two-way communication and quality metrics to involve patients in their own care.